I could tell the drones had been loitering around with no purpose on the inner cover for a while. Most were in a cold stupor from not feeling the direct heat from the cluster. At this rate, most of them will be dead this time next month. A also noticed a larger-than-normal number of drones in the honey supers of my one hive that has honey supers. And I think I know why it’s filling with drones. I may have goofed. 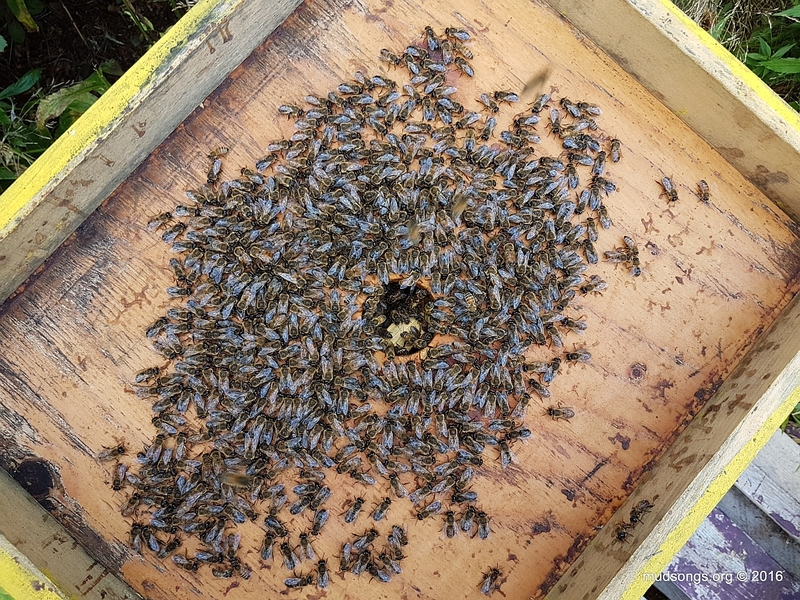 Seeing how the honey supers are full of honey, honey that’s just not all capped yet, I decided after a quick inspection ten days ago to remove the queen excluder. 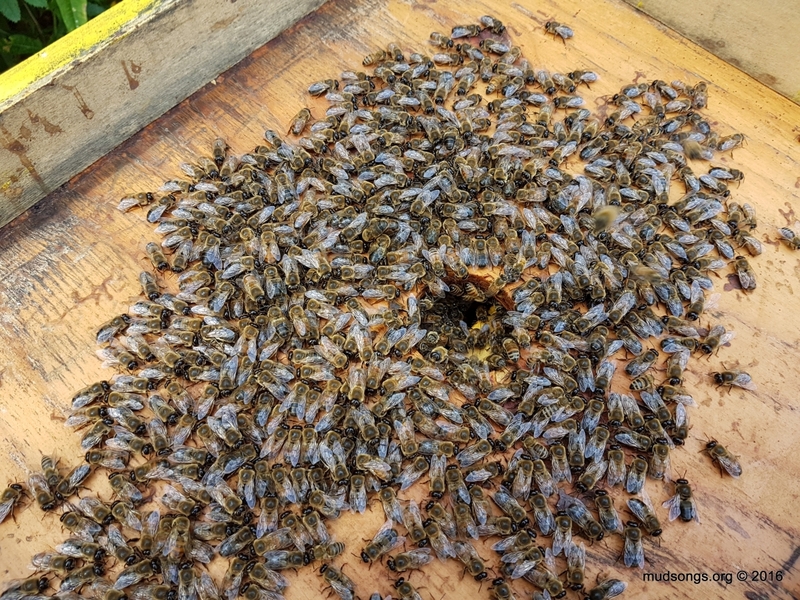 The queen had nowhere to lay in the honey supers, so I didn’t think giving the bees easier access would hurt. But now it looks like honey that was capped a week ago has been uncapped — perhaps because the drones have full access now. Drones need to be fed, right? They’re getting fed honey from the honey supers, maybe? I know it’s a bit of stretch, but… it’s in the realm, possibly? At any rate, I may keep queen excluders on all the time now just to keep the drones out of my honey. Just in case. This entry was posted in Behaviour, Drones, Honey, Honey Supers, Mistakes, Month of September, Queen Excluders and tagged Stuff That's Good To Know, Video. Bookmark the permalink. Yep, I have drone pupae in front of my hives as well… No more men until the spring.. I don’t want them all gone just yet, though. I have a queen I’m hoping to mate this week.